Ferndown Golf Club were are hosts for the 2011 County Amateur Championships and with the forecast set fair we were set for a good first day as the 36 hole stroke play competition for the Garrett Salver and the top 16 places for the matchplay stages got under way. The field had some well known names along with a few new comers and with a course presented to the players in excellent condition and an unusual wind for Ferndown the day was going to be a good test for the players..
Players soon got into their stride and birdies were the order of the day for the early starter Daniel Bishop who had a great 4 under par round of 67 to set the first round pace. The pressure was on the home players to play well and they did not disappoint firstly with Harry Mitchell leading the way with 1 under 70 local and County player matt hector then rocked us all with a stunning 6 under 65 and the club house lead. The two David’s from Parkstone shot 70, and our hearts went out to young Dominic knight coming up eighteen 2 under put his second shot in out of bounds on the right and ended up with a 73. Defending Champion Tom Leech Ferndown was some way back on 3 over. The team Championship was again won by Parkstone GC the team was David Cook, David Norton and Tom Peacock they now go forward to the English Champion Club Finals. For the full team results click here. The afternoon saw again some great golf being played Andrew Day hung on to Tom Peacocks shirt tails and was one down coming up eighteen, Tom pushed his drive into the trees but produced a stunning draw shot to reach the green sadly he did not convert it into a birdie and when Andrew sank his it was back down the first this time it was Andrew who found the trees off the tee and then he produced a great shot in and when Tom missed a shot par putt it was another great scalp for Andrew. The next was a local derby between Weymouth’s Robbie Mabb and Andrew Robson, sadly for Andrew he played the front nine poorly which in the end proved the difference as Robbie closed him out 2&1 The tie of the afternoon was David Cook v Tom Leech, David was all over Tom on the front nine and went through the turn 2 up Tom hung on in there and then the cracks appeared and Tom took full advantage and wrapped up a splendid win 2&1 at the seventeenth. David Talbot found it tough going against Jon Welch in the afternoon and Jon wrapped it up 5&4. Andrew Day v Robbie Mabb: Andrew who had been so calm on the first day found the semi a bit more intimidating and never seemed to settle Robbie seemed much focused and appeared to be in control throughout the match and won 3&2. Tom Leech played Jon Welch a repeat of the 2009 semi final which Jon won when he drove the green at the first extra hole, so it was a turn of fate as Tom drove the eighth green to go one up and from then on in was always in control and when he birdied the fourteenth to go back to two having lost twelve and thirteen he won fifteen and when Jon went for the green at sixteen and his ball stayed up in the tree for some time a half there was enough to put Tom back in the final for the second year running. So here we are a County Championship Final contested by Robbie Mabb Weymouth and Tom Leech Ferndown with the match referee Mr Bill Kennedy Knighton Heath. The first saw Tom sink an outrageous long putt for birdie and one up, a run then of three bogies at the fourth, fifth and sixth saw Tom 4 up, Robbie then fought back with a great birdie at the seventh to get one back but Tom replied with a birdie at the eighth but the bogied the ninth so it was 3 at the turn. It was back to two down when Tom found the trees at eleven but he made a great up and down at thirteen having watched Robbie find the green with his second, the short fourteenth saw Robbie in the bunker and Tom off the green in the rough both played splendid shots in but sadly for Robbie a pushed putt meant bogey and Tom went back to three up and half at fifteen was followed by a halve at sixteen and elation for Tom as he secured his second Championship. 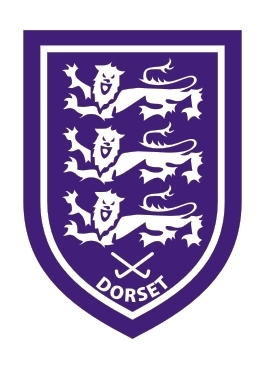 Lastly on behalf of the Dorset Golf Union a thank you to the Ferndown Management Committee, Captain John Crockett, Members and staff for allowing us the use the course for the 2011 Amateur Championship. The course was presented by the staff in excellent condition and proved a good test of golf for all players concerned, the bar and catering staff kept everyone fed and watered, the committee, club members and staff have been a delight making all the players and officials very welcome. Thank you. We would also like to thank our Sponsor Ringwood Brewery who kindly gave the club two barrels of their finest ale for hosting this years County Championship.